Easter is here and every fashionista wants to get her best look. Season plays a major role in dressing up for any occasion—Easter is not an exception. As Easter comes in spring, everyone strives to get some feel-good closet staples. For spring, soothing and light hues promise an impeccable look. To get you in the spotlight this Easter, we are going to round up the best women Easter dresses of 2018. Going to church is one of the must-dos of Easter—whether you are religious minded or not, for church visit you need a thrown-in both chic and elegant. Pull off a look beautified with a touch of white. Step out in style in a gorgeous little white laced or embroidered outfit. Make sure you are wearing light and easy-on-eyes makeup. If that all-white and formally serene Easter church look is not your style, get on with some casual outlook. How about pairing up a simple denim and Tee with some eye-catching overcoat. This is something that promises comfort without compromising on style. Just check it out. There are a number of other tasks that you are supposed to do—Easter parade and lunch with friends or family are some instances. As it is about spring, go on with the flair of pastels. Prefer eye-soothing hues like shades of light blue, light green or the variety of pink. A feminine dress in pastel shade promises a standout style. Find your perfect accessory with a matching hat or bonnet. Dark lips and state of the art fashion jewelry can surely bring you in the spotlight. There are no hard and fast rules about dressing up for Easter. Anything that matches your style might be tried. If you do not wish to look like many other ladies standing around you, settle on something inspired from boutique Easter dresses. How about a chiffon jumpsuit? Pair it with stiletto and there you go! Are you fed up of wearing Easter dresses or frocks? Easter dresses 2018 are all about experimenting with all new things and styles. 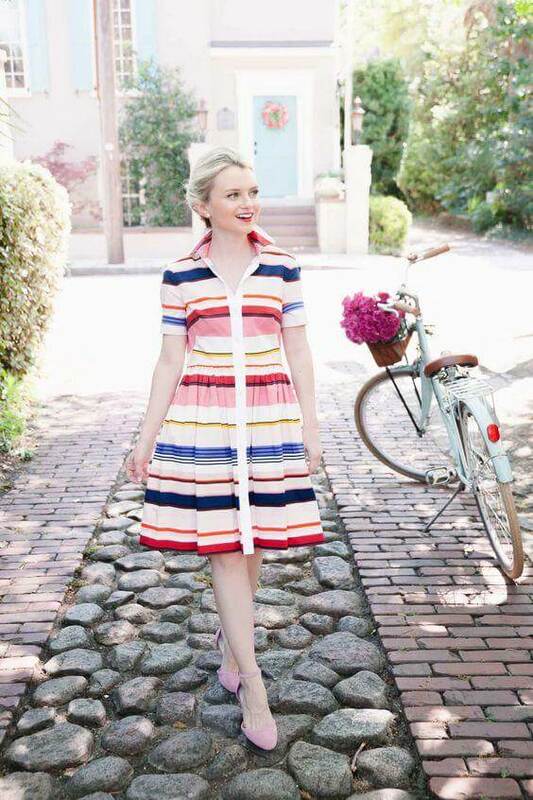 Wearing a color-filled maxi dress just like the one in the image below, is the option to get a rare style. Spring fashion wardrobe is never completed without some laced staples. When I say lace, I don’t mean white only, just be brave to flaunt a look with lacy plain colored skirt with floral top. This look is perfect for daytime fun with family. Long fancy dresses are not the only Easter dresses 2018, there are many more to experiment with. When it comes to lunch with friends, high-waisted pants might prove the way to go. To strike a well-balanced look, pair it up with plain top and loose hair. 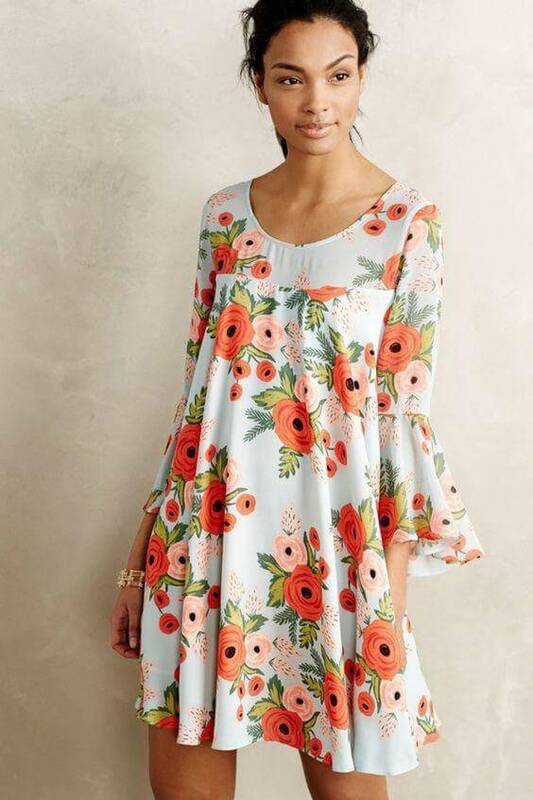 Just check out this classy look created with a soothing and romantic high-low tunic top. Pairing with skinny jeans brings out the best result. Whenever you are about to shop for your Easter outfits, know that Easter dressing should be about a balance of colors. As most of Easter activities are held in daytime, so we do not recommend darker shades for it. Just check out this fabulous outfit idea—the combo of tea pink top with white jeans promises a standout look in the whole crowd. It is not essential to doll up super extravagantly for Easter. Keeping a simple yet chic style can also work. If you too are not feeling like dressing up lavishly, opt for a sassy look with some catchy top with light toned skinny jeans. To complement the look, dazzle with some bold and adorable jewelry pieces. Teenagers who don’t wish to pull off a plain look, are advised to get on with some multi-colored striped outfit. To add more glamour to your look, you can pair it up with some waist-length jacket. 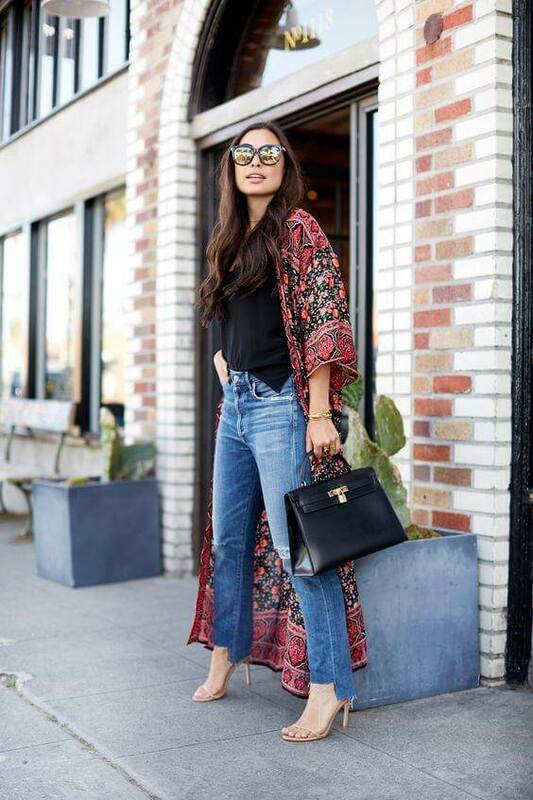 Adore your feet with wedges or ankle boots. Freezing cold is gone. All you are left with, are open and breezy days. Try out chiffon top styled up with bell bottom sleeves. Pair it up with your denim and get a look good and feel good sensation. Just check out this lovely pastel shaded maxi dress. It would surely add an instant appeal—without compromising on comfort. A head-turning idea that will promptly get you noticed. 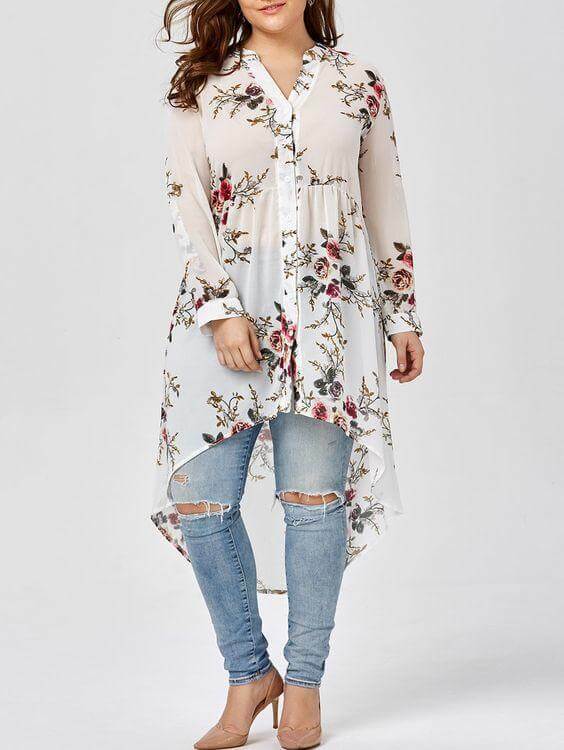 Those who are looking for some cheap Easter dresses womens, must consider pairing up a white top paired with beautifully stitched A-line skirt. All you need is a pair of flirty sandals and a matching satchel bag. If you do not want to get into the fuss of dressing ideas, just go with the flow. 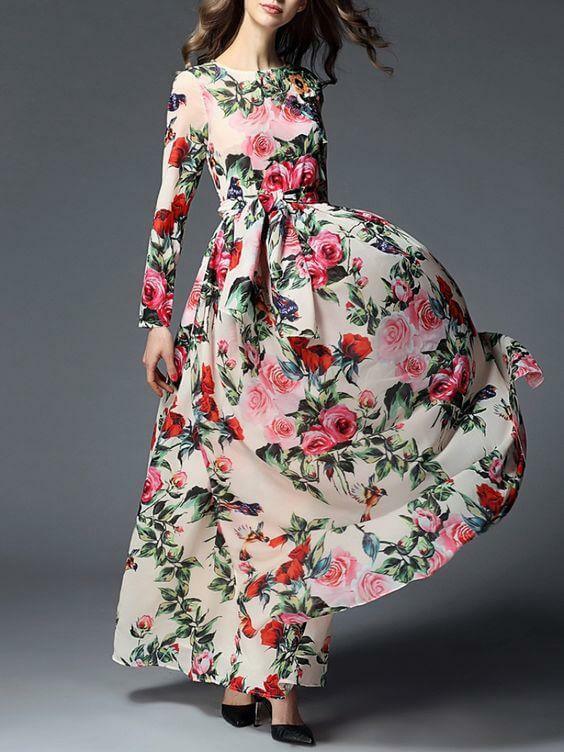 Floral maxi dresses are spring-specific and always give a pleasing and easy-on-eyes look. So, this could also be a super idea for Easter outfits. Show off your trendsetting style with a knee-length dress styled with an elastic waistline or wrapped front. Have a look at this off-the-shoulder boho-inspired short dress. Color, print and style, all tend to give you a perfect look for Easter Lunch. Cut out hemline and sleeves seem flattering from every angle. Be it a dress for church, Easter parade, lunch or a family meetup on Easter, our exhaustive list of women Easter dresses 2018 has something for every occasion. The only thing you need is to accessorize properly and put on the right kind of makeup. Next articleYour Ultimate Tee Guide: How to Style T Shirts like a Pro?